Save chart looks and settings as well as built-in and custom studies layouts in easy-to-load chart templates. 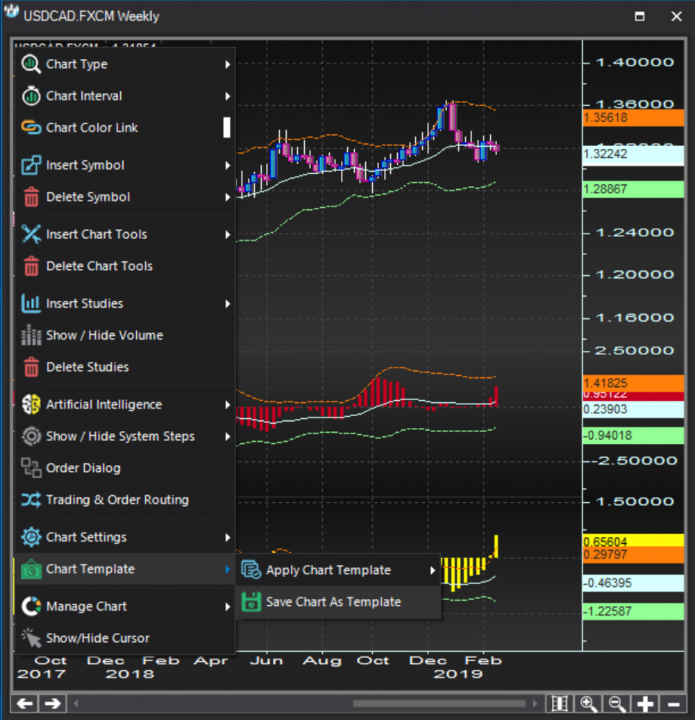 Chart templates help you save the touch and feel as well as the functionality aspect of your charts so you can easily apply them to other charts. Please note that annotations are not part of your chart templates. 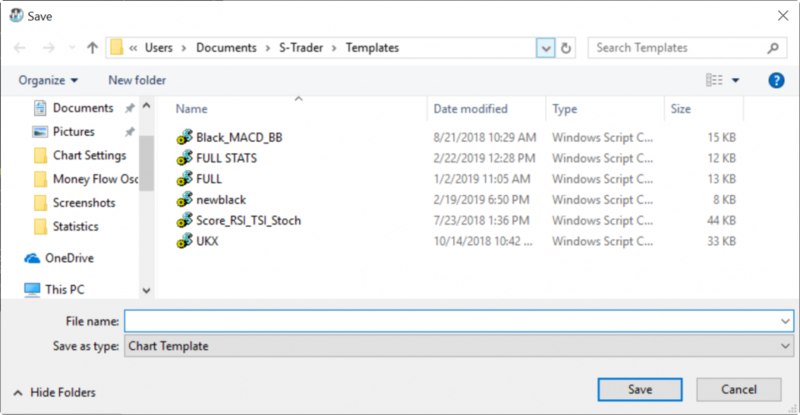 Chart templates are saved in a default S-Trader folder and are always part of the back-up / restore operations routinely performed by the Back-Up Utility. They can also be exported in packages built with the Organizer Tool. Once saved a Chart Template can be applied to a new chart in fractions of a second. 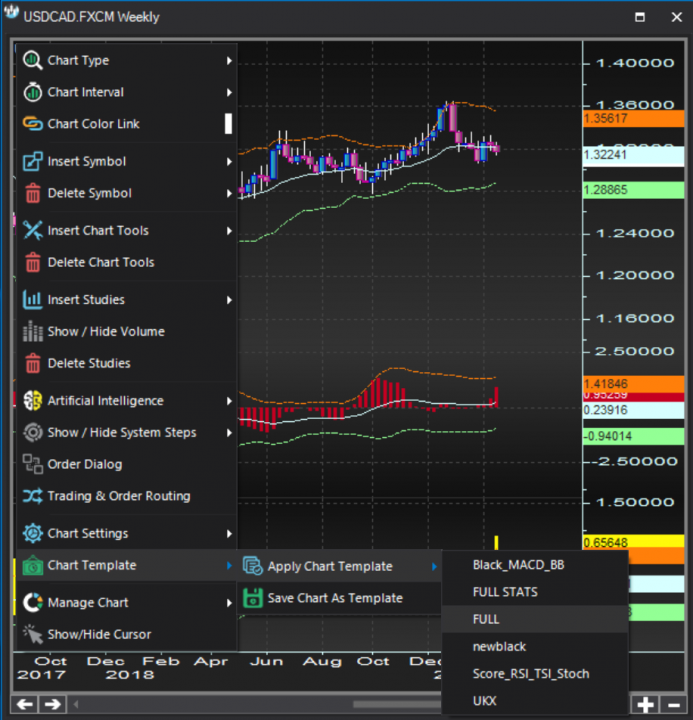 Applying previously saved Chart Templates saves valuable time and gives the user the opportunity to quickly switch between templates when analyzing many charts in fast-paced environments.